Nicole Coolidge Rousmaniere (Research Director at the Sainsbury Institute and Curator in the Japanese Section at the British Museum) will speak about researching the Japanese ceramic collections at the British Museum. 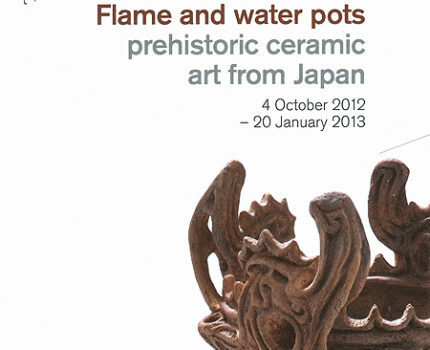 Simon Kaner (Head, Centre for Archaeology and Heritage at the Sainsbury Institute) will speak on the two recent exhibitions featuring Jomon archaeology at the British Museum, the Power of Dogu: ceramic figures from Ancient Japan annd Flame and Water Pots. Kobayashi Tatsuo (Senior Advisor on Archaeology at the Sainsbury Institute and Professor Emeritus, Kokuguin University, Tokyo) will moderate a discussion on Jomon culture in the world.